Mahogany and hard maple drawer parts, oiled and lacquered. 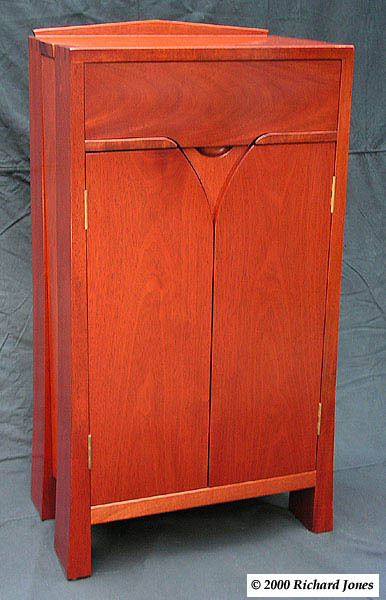 I’m fond of word play and here I designed a cabinet to use some mahogany I had left over from a commission and spotted an opportunity to play a verbal joke. 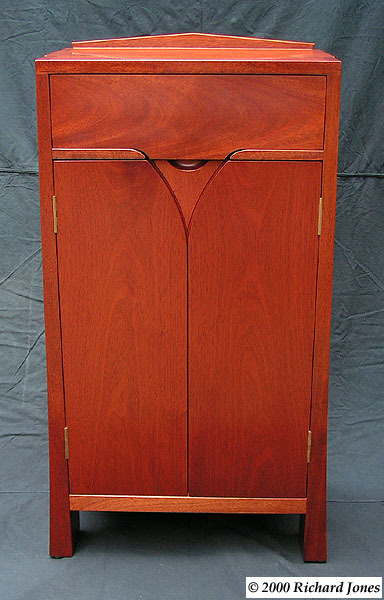 Mahogany is the timber associated with names like Chippendale, Hepplewhite, Sheraton, et cetera from the late 1700s and onwards into the twentieth century. Even today there is a large demand for genuine 18th century antiques and reproduction furniture. Much of this furniture was, and still is, decorated with veneered panels frequently of crotch mahogany cut from where the trunk and a branch of a tree intersect. 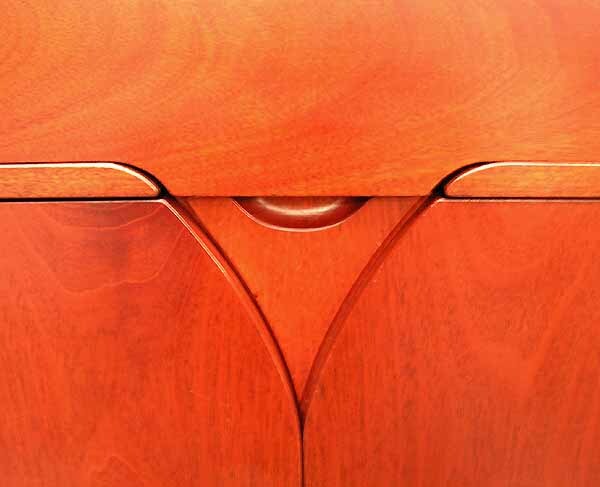 My solid mahogany planks didn’t contain any of this prized cut, but I saw an opportunity to incorporate a crotch in my cabinet, and did so in tongue-in-cheek homage to those historical giants of furniture making. A small cabinet was the result and it visually appears to grow out of the ground due to the slight curve in the carcass sides. I added a second joke in the joinery I chose to assemble the piece. 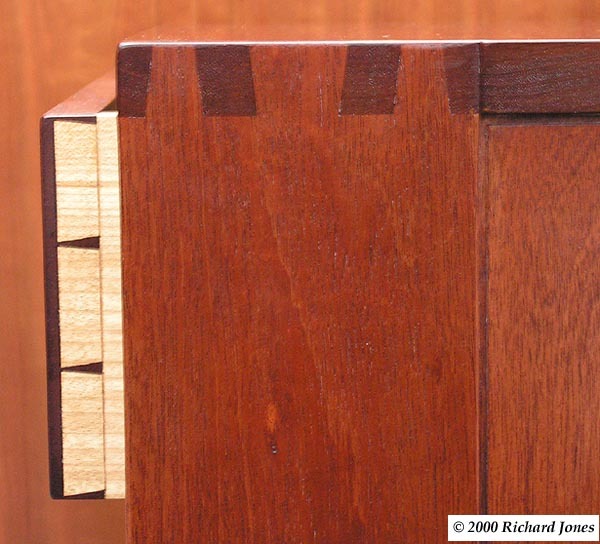 How on earth do those impossible looking dovetails at the top corners go together?